Sometimes we have children at our tables who don’t want to do art or who don’t think they are “artists”. Five-year old, Sylas is one of those. 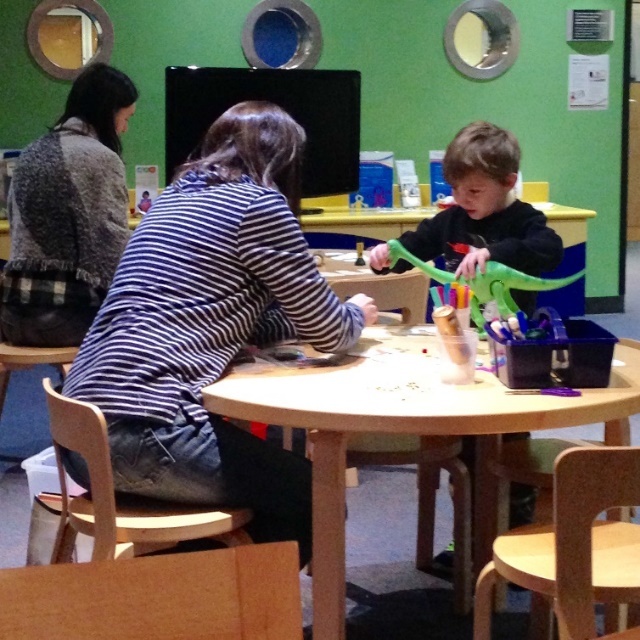 He spends a lot of time at Brenner Children’s Hospital while his little brother, Wyatt is in treatment for cancer. 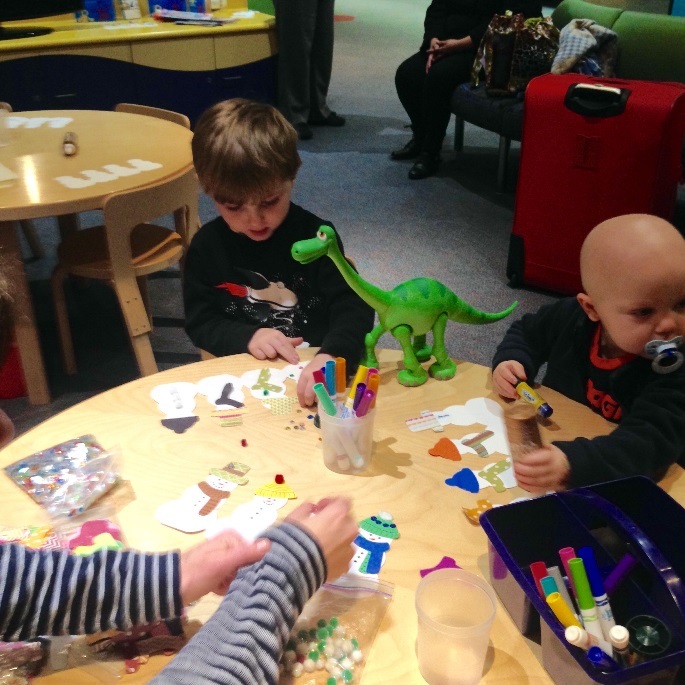 One of Sylas’ duties as big brother is taking care of their pet dinosaur while his brother gets chemo. When his Arts For Life teacher asked Sylas to participate at the art table, he kindly refused… multiple times. Then she asked the dinosaur…and he said YES! As it turns out, dinosaurs are amazing artists! 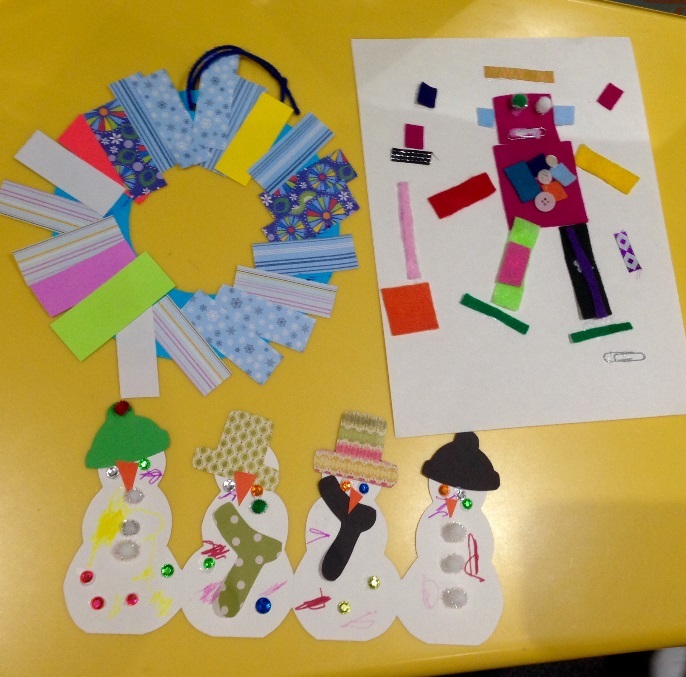 They use markers, glue sticks, scissors, and even sequins! …thanks to the power of secret (text) messages, Sylas’ Arts For Life teachers on the 9th floor seamlessly jumped to the ready. They introduced themselves to the artistic dinosaur (and to his keeper, Sylas). 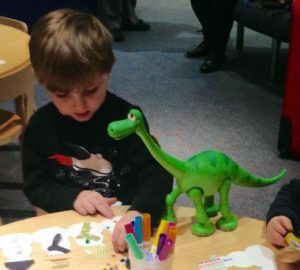 They had just the right projects to interest the dinosaur! 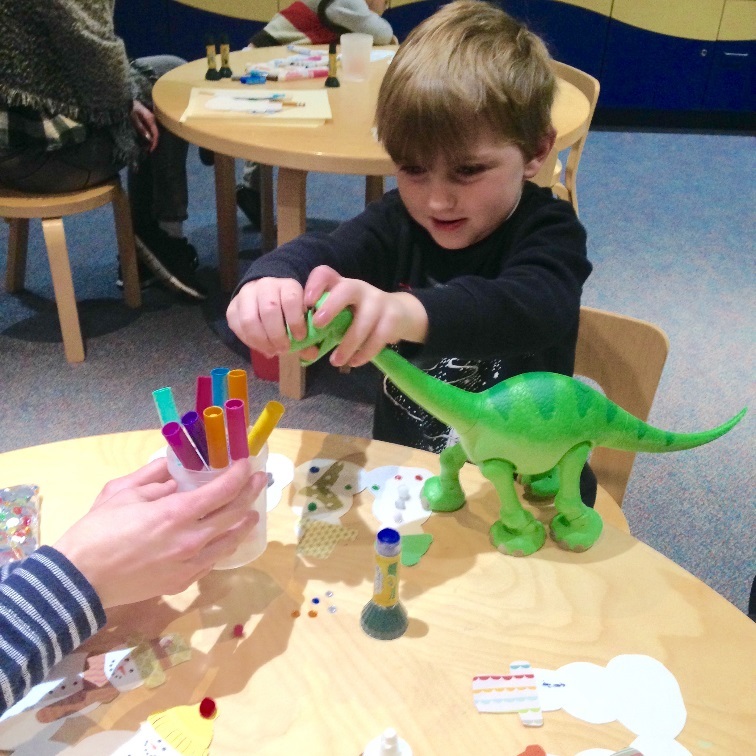 At Arts For life, we’re so thankful to have art teachers who are great with kids AND dinosaurs!